As you may know, roofing is our passion! We love every type of roof; metal, composition, shake, slate, and even flat roofs! But one thing that we love even more, is our customers and their satisfaction! Below are a couple of examples of how our passion for this industry translated over to exceptional work and satisfied customers. Customer satisfaction is one of our top priorities, so when we hear such great feedback from our customers, we know that we are doing something right. If you need a new roof, you can trust that we will deliver what we promised. 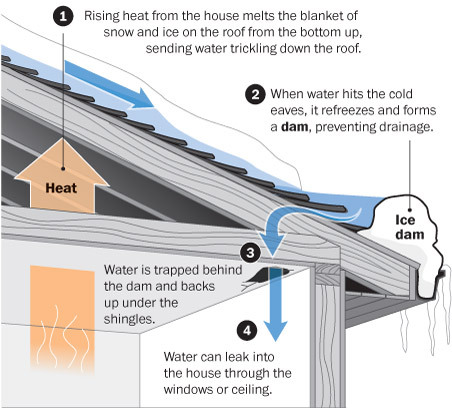 Call us today for your free estimate – 253-445-8950 or fill out our quick estimate form! We look forward to working with you! Another Great Looking Roof Done by Chase NW Inc! 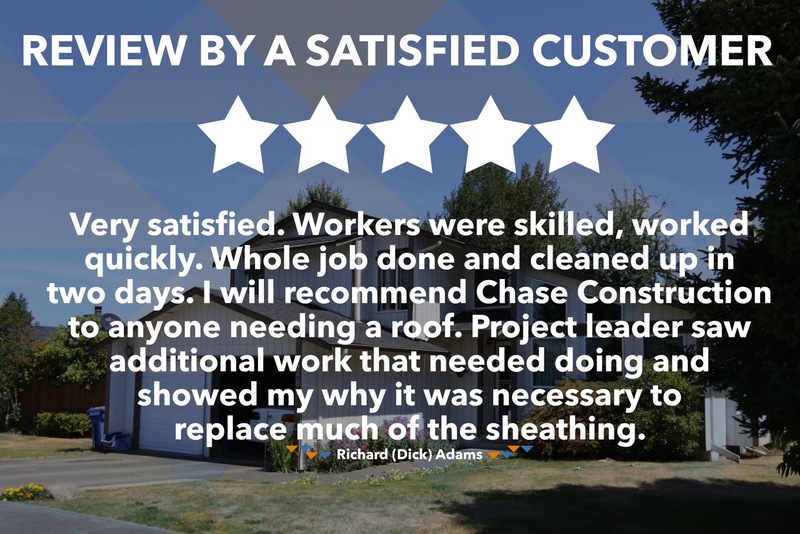 The crew here at Chase Construction North West Inc., has once again gone above and beyond in ensuring that our customer got the best value and most professionally installed roof! 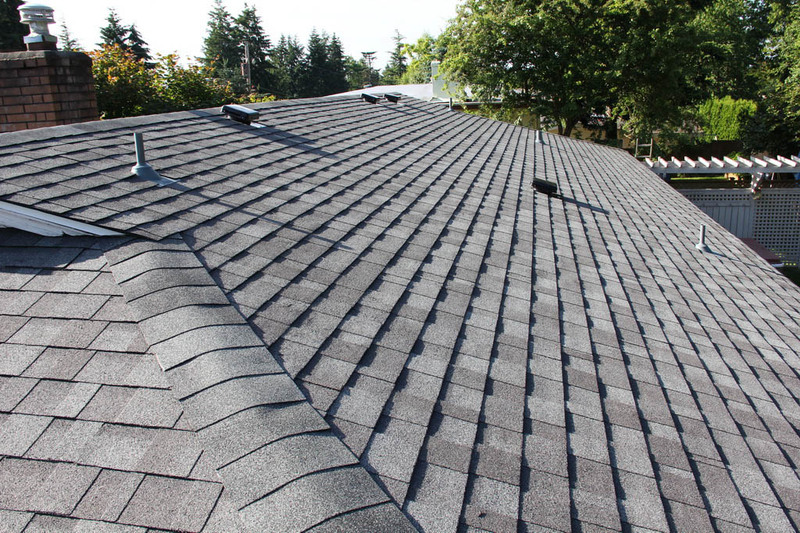 This project was completed in the ever expanding city of Tacoma and utilized the IKO Cambridge shingle in Dual Black. We are IKO Shield Pro Plus installers and are highly trained when it comes to their products, so it is no surprise that we were able to enact a beautifully finished end product that was exactly what the customer wanted. Check out his great testimony below! Chase Construction North West, Inc loves to serve the people of Bellevue, Washington. We recently had the opportunity to re-roof a residential home in the heart of the city! This home was very close to a home in Medina that we installed a Custom-Bilt Metals steel roofing system on last year. To view the metal roof installation please see the video below! 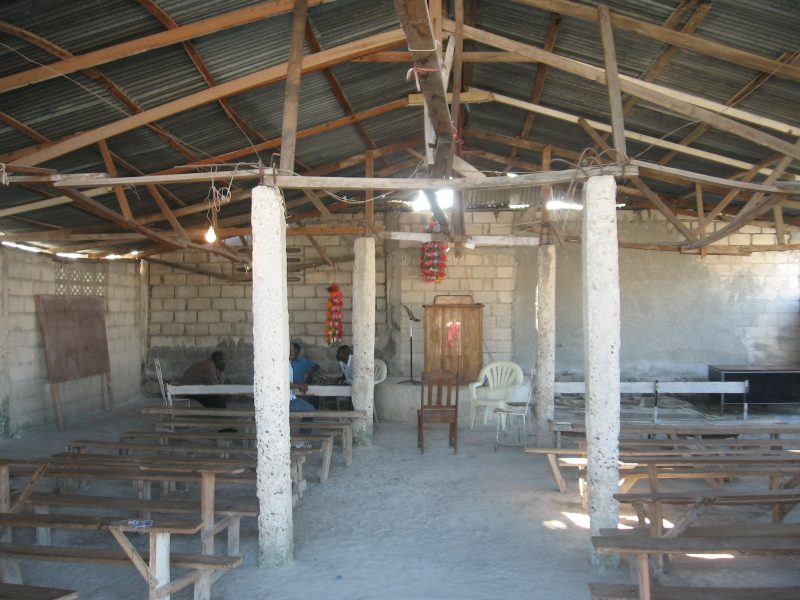 New Roof And Immunizations For 18 Haitian Orphans!